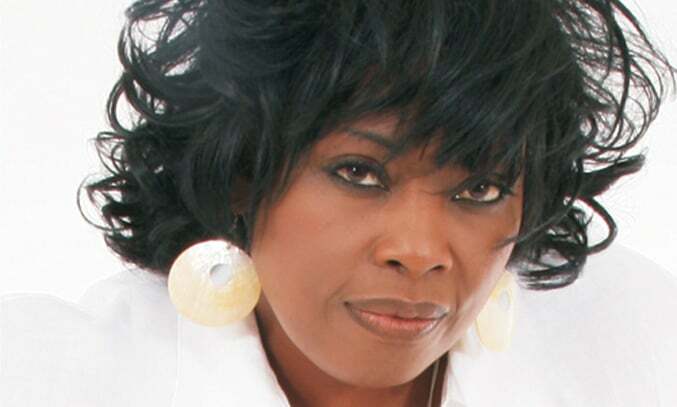 Regarded as having one of the greatest voices the UK has ever produced, Ruby Turner is a Jamaican soul, gospel and R&B singer-songwriter. Best known as one of the main vocalists for Jools Holland’s Rhythm & Blues Orchestra, the prolific singer-songwriter has an impressive 17 albums to her name and has lent her locals to backing tracks for artists such as Bryan Ferry, UB40 and Mick Jagger, as well as penning songs for Lulu, Yazz and Maxi Priest. Soulful, passionate and incredibly powerful, Ruby Turner’s unique vocal style has been likened to Aretha Franklin and Janis Joplin. The latest tour sees Turner perform a variety of songs from classic covers to new material from her most recent studio album All That I Am which was released in the summer of 2014. The first half of the two-hour set is jam packed with feel-good pop/soul tracks track like Hello Baby and So Amazing, as well as soulful numbers like Restless Moods and the vintage Gospel track This Train. The second half sees Turner perform a stripped down version of the Rodgers and Hart standard I Didn’t Know What Time It Was, beautifully sung with a simple piano accompaniment courtesy of Reuben James. The upbeat, reggae-flavoured Putting You First and classic Southern soul cheating song Dark End of the Street also receive a rapturous response from the audience. In between numbers, Turner talks about her love for music and the story behind each track. Her rapport with the audience is second to none, laughing and joking with the crowd, particularly when a hilarious hiccup with her chair on stage turned into an extended joke. The highlight of the show is the performance of Fire In My Heart, a duet co-written and recorded with Michael David Rosenberg (better known by his stage name Passenger) for the latest album and performed on stage with bass player Paul Pryor. This catchy track certainly has potential to be a hit single. The show finishes with an extended and emotional performance of I’d Rather Go Blind and an encore of upbeat hit single If You’re Ready (Come Go With Me). Funny, charismatic and blessed with a voice so soulful that it’ll give you goosebumps, Ruby Turner continues to win over the hearts and minds of an ever-growing fan base. A truly enjoyable show from a true performer.